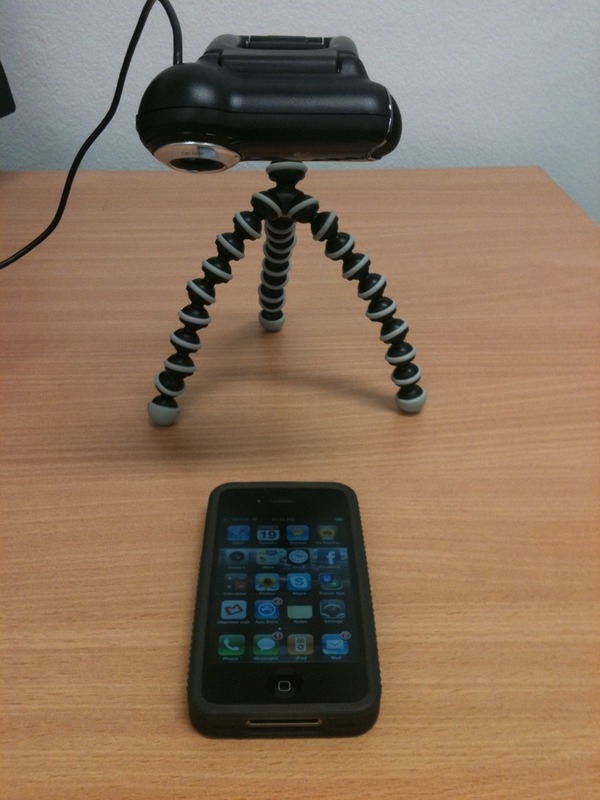 Recently we did some mobile iPhone testing and were unable to use a document camera so I ended up creating a DIY document camera. 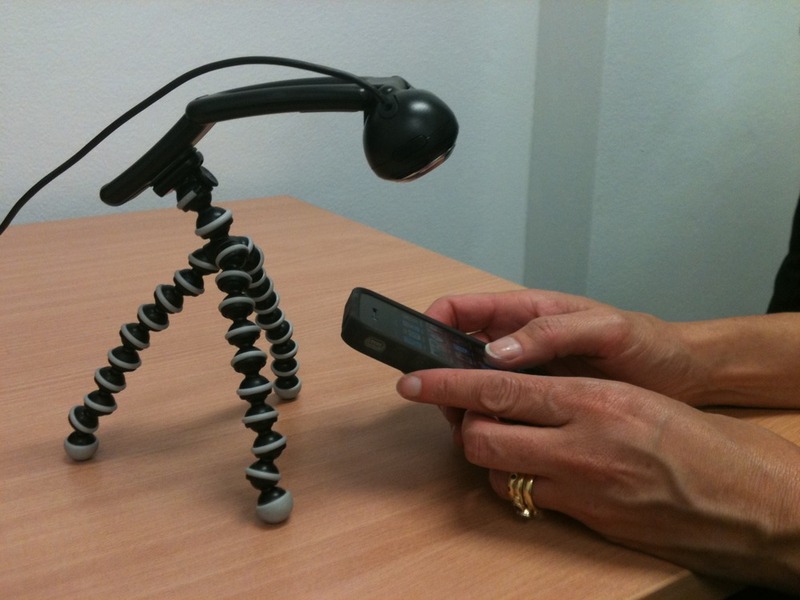 We used the Gorilla Pod by Joby called the GorillaMobile Original. It comes with some great handy mounting options such as a suction cup clip and a high-bond removable adhesive clip. We ended up using the latter to attach our webcam to the pod. The webcam we used was a Logitech Webcam Pro 9000, which we fixed to the Gorilla Pod with the help of the removable adhesive clip that came with the pod kit. As we use Macs, we simply hooked up the webcam to Photo Booth or you can use any other recording software (screen or webcam) to record the research sessions. There is a bit of a fiddle with software to allow Photo Booth to use an external webcam and the quality of the external webcam is not as great as it would be if you used a PC. To allow for the external webcam to work on the Mac we used a program called Macam. This setup was used successfully for 2 days and cost much less than a document camera. 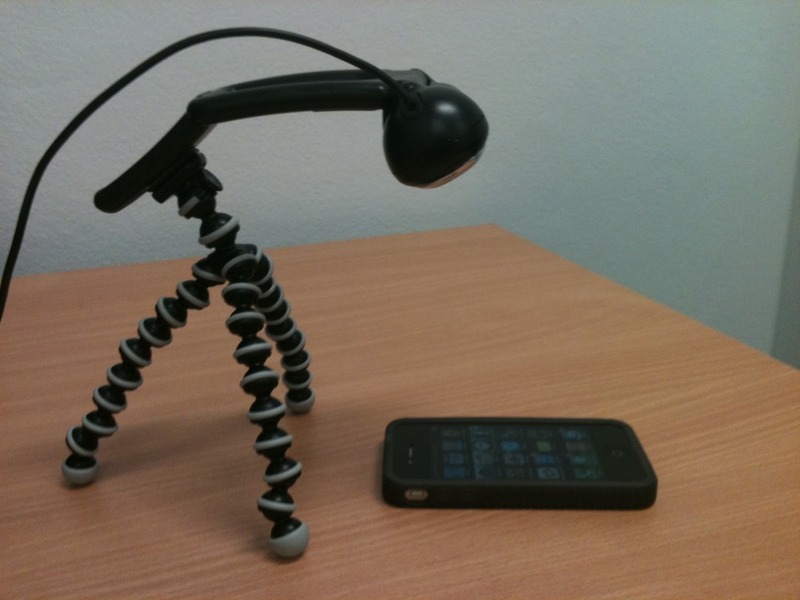 Especially those that have a webcam and/or Gorilla Pod already, it becomes a very cheap alternative. This entry was posted in Uncategorized and tagged document camera, iphone testing, mobile testing, usability testing by Objective Experience. Bookmark the permalink.